A Product Review of Xenistat: How Harmless and Efficient is this? Home / A Product Review of Xenistat: How Harmless and Efficient is this? This weight loss supplement is created and produced by Hi-Tech Pharmaceuticals. This product has an exclusive combination of components that includes Lipstatin, Green Tea, White Kidney Bean Extract and Normame Extract. A study about White Kidney Bean Extract found that participants who were using this particular component went on to lose an average of 4 lbs. This is significantly higher compared to the group who were taking placebo who only lost 2 lbs. This happened in the same 8-week duration. Though Xenistat has never gone through a clinical research, so this said study could have come from an independent or third-party research. The official site of the product features individuals with desirable figures to promote the said weight loss supplement. What are the Components in Xenistat? As mentioned, the product makes use of exclusive blend of components that include the following: Cassia Nomame Extract, Lipstatin, Green Tea Extract, and White Kidney Bean Extract. This proprietary mixture has a total content of 525 mg. While Xenistat features an exclusive mixture of ingredients, one of its components is believed to slow down the digestion and amalgamation of starches. Furthermore, Green Tea is present in order to torch excess calories through the process of heat production known as thermogenesis. Lipstatin and Cassia Extract restrain the assimilation of fat molecules. It is helpful that the official website of this product has valuable information elaborating on every component. You can purchase Xenistat through its official site for $34. 95. This is for a pack consisting of 120 capsules. You can also acquire this product through other retailers such as Net Nutri and Nutrition Dome. There’s the availability of a 60-day money-back guarantee. There’s a product label on the official site. 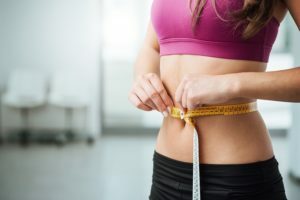 Every component in the product’s formula is complete with essential information on the site, explaining how it helps in the weight loss process. Xenistat can also be bought via third party resellers. Final Verdict: Is Xenistat the Rea Deal? Though the claims for Xenistat are strong, there’s no clinical study that supports such assertions. There’s the presence of proprietary blend as the product’s formulation but the precise quantity of each of the ingredient is not divulged. Nonetheless, the company behind Xenistat provides a 60-day refund policy. Because there are so many weight loss supplements out there today, we have invested time for research and product assessment based on the supplements’ capacity to accomplish numerous unbiased specifications and standards. An ideal weight loss product is the one that can repress one’s desire for food in order to protect the user from eating too much. Also, the ideal supplement should be created from premium components and not the filler ones. Apparently, weight loss supplements must be tested and confirmed to have the potential to help dieters in their weight loss management plans. 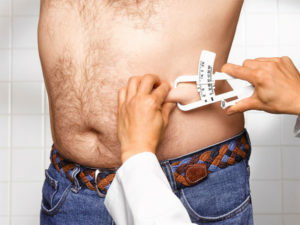 Another important feature a weight loss product should have is the ability to boost one’s metabolism as well. In the end, proper nutrition and fitness are also crucial in order to attain weight loss goals. Supplements alone are not enough if you’re not personally motivated to work hard for it. More often than not, the use of weight loss products becomes more optimized when partnered with good nutrition and regular exercise. That’s why it’s always better to have the physical and mental dedication to eat right and work out while taking something like weight loss products that can help the process become easier and faster.